The SPIK Responsible Care Council (Samahan sa Pilipinas ng mga Industriyang Kimika) launched a workshop that focuses on safety. It was the Responsible Care Process Safety Workshop. The event was held at Acacia Hotel, Alabang, Muntinlupa City last December 9 – 10, 2014. How to Deal With Danger Using the Methods of Behavioral Based Safety. This workshop gave our company more tactics on how to decrease the accidents and translating it into higher efficiency. 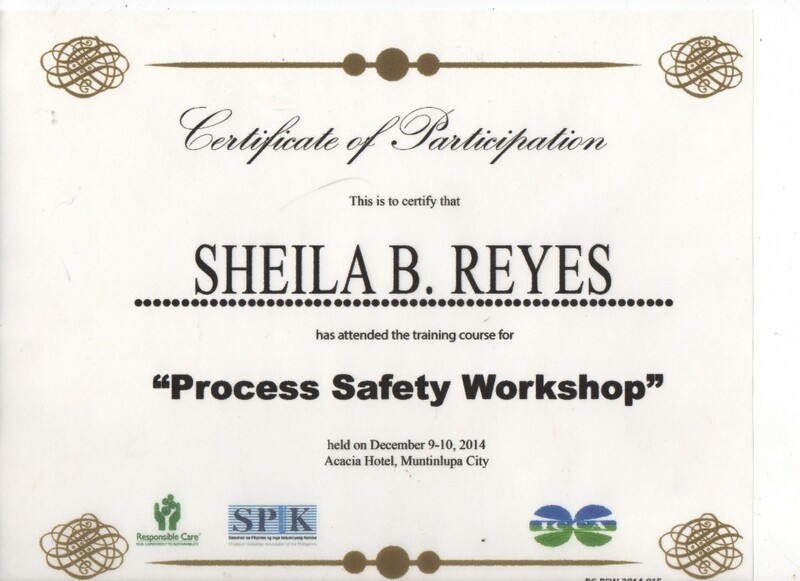 The training supported our commitment to providing a safe and hazard free work environment not only for our employees, but also to our valuable clients making our company one of the best chemical industries in the Philippines.